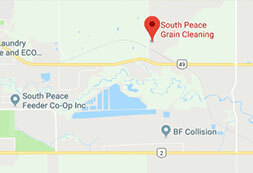 South Peace Grain Co-Op provides information, resources and seed services to farmers and industrial operations in Dawson Creek and Northern British Columbia. We are your resource for all seed information and services in the South Peace region. The Board of Directors has recommended to the general membership that the Cooperative adopt a new set of Rules of Association to bring South Peace Grain up to date with the current BC Cooperatives Act. The proposed new Rules of Association are attached for members to review before attending the AGM on November 25 at the George Dawson Inn at 9:30am. Click Here To Download The Proposed Rule Change Document!